What Are Your Options After a Crash With an Atlanta Hit-and-Run Driver? In Georgia, failure to stop after causing a collision is a crime. This offense is a serious one if a driver does not stop for an accident that causes injury or death. Victims hurt by a hit-and-run driver face the serious potential for uncompensated losses. If you are hurt in a crash with a driver who leaves the accident scene, you need to understand what your options are. 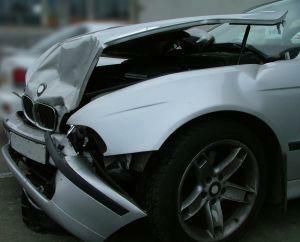 An Atlanta car accident lawyer will provide you with assistance and advice on what to do after a hit-and-run happens. Give us a call to learn about the different alternatives to consider for seeking compensation when you are hurt by a driver who does not stay at the scene of the car crash. In most Atlanta car accidents, victims hurt by another driver can pursue a claim for compensation. Georgia law requires drivers to have $25,000 per person and $50,000 per accident in liability coverage, which pays for losses a negligent motorist causes to other drivers. A crash victim can negotiate a settlement with the insurer representing the driver who caused a crash, or can pursue a legal claim in court. When a hit-and-run happens, however, the collision victim does not have the contact info or insurance information for the driver who is supposed to pay. Victims of Atlanta hit-and-run accidents should contact a police officer right away as soon as practicable after the collision. The police can conduct an investigation to try to find the driver who fled the scene. Social media has helped to make it easier for hit-and-run drivers to be identified because police can post requests for information not just on TV but also on Twitter, Facebook, and online news websites. If a driver who hit-and-ran is identified, victims can pursue a case against him. Many hit-and-run drivers have insufficient insurance or no coverage at all (not having insurance is a leading reason for drivers to leave a crash scene). If you get hit by a driver without insurance, you can try to sue him anyway. You may win, but unless the driver has money or assets, you are going to have a hard time actually enforcing the judgment and getting the driver to pay. It is possible to have a lien placed on the motorist's property to enforce a judgment, or even to get his wages garnished- but this only works for defendants with assets and income. In situations where a hit-and-run driver doesn't have money or insurance coverage or when a driver who caused your crash is never found, you may want to explore other options. Uninsured motorist coverage is a type of insurance you can buy, which will pay for the losses that another driver should pay for but can't because of a lack of insurance. Uninsured motorist coverage isn't required in Georgia, but if you have bought it then your insurer will stand in for the hit-and-run driver and cover your losses. You'll need to negotiate a fair payout with the insurer, and an Atlanta car accident lawyer can help.